Slimline LED studio softlights designed specifically for TV broadcast lighting. 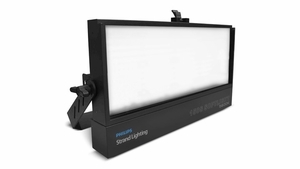 The Studio softlight range features panels with both calibrated white color temperature settings of 3200K and 5600K as well as a tunable white version, making it ideal for a wide range of lighting applications. Natural convection cooling without fans, offers a quiet operation environment during recording.